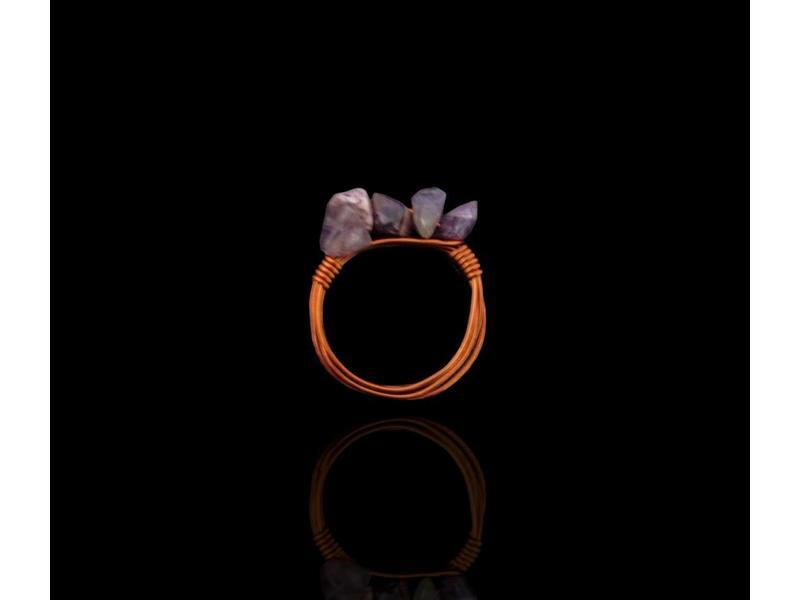 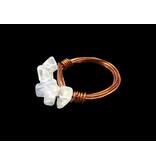 Copper wire ring with tumbled gemstones. 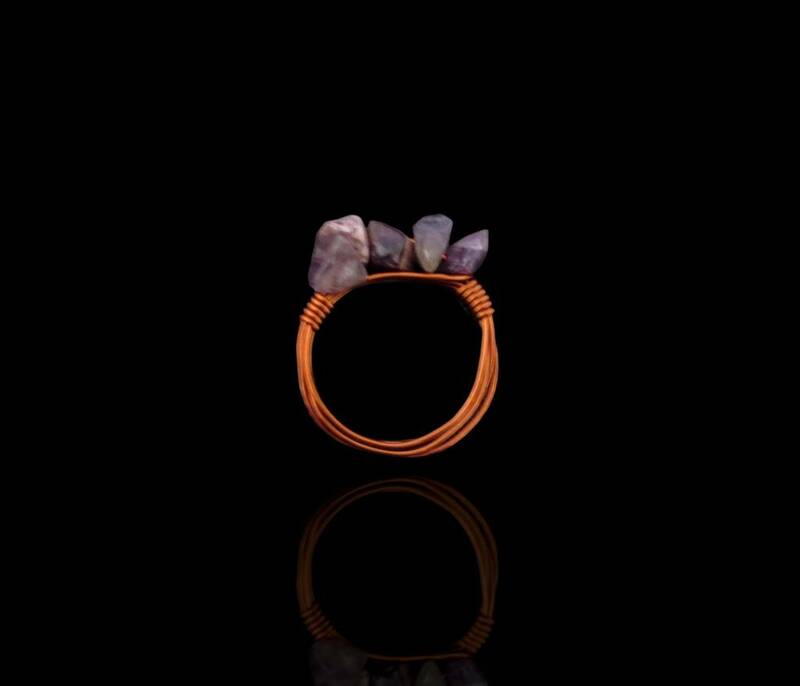 From the legendary copper mines in southern Jordan, comes a collection of delicate hand made jewellery. 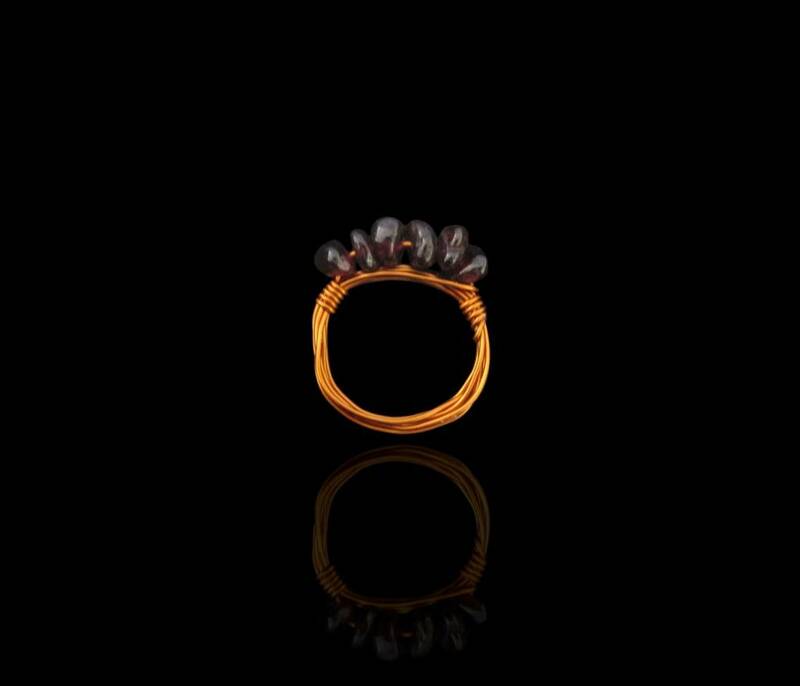 Tassels of copper and colourful stones echo those that adorn Bedouin tents; and traditional amulets such as the turquoise beads and the Evil Eye ward off malicious vibes transmitted by jealousy and envy. 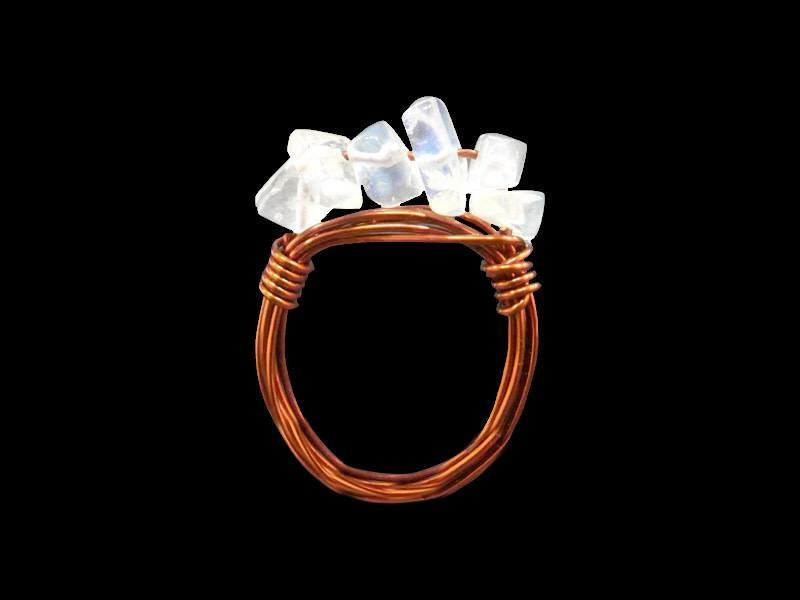 Copper ring made from hairline copper wires made into swirls. 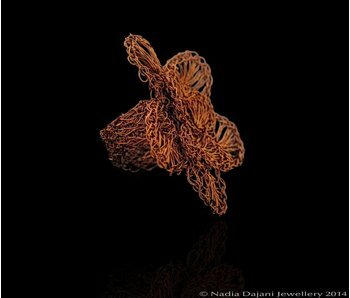 Copper wires hand crochet in the form of a camelia flower. 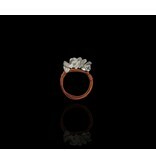 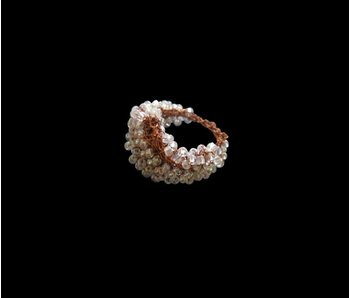 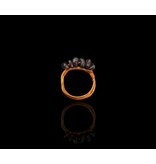 This copper bead ring is made by our artisan, Kawthar, who started with us knowing nothing, and who now makes the most wonderful crochet work with inset beads. 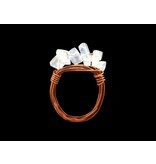 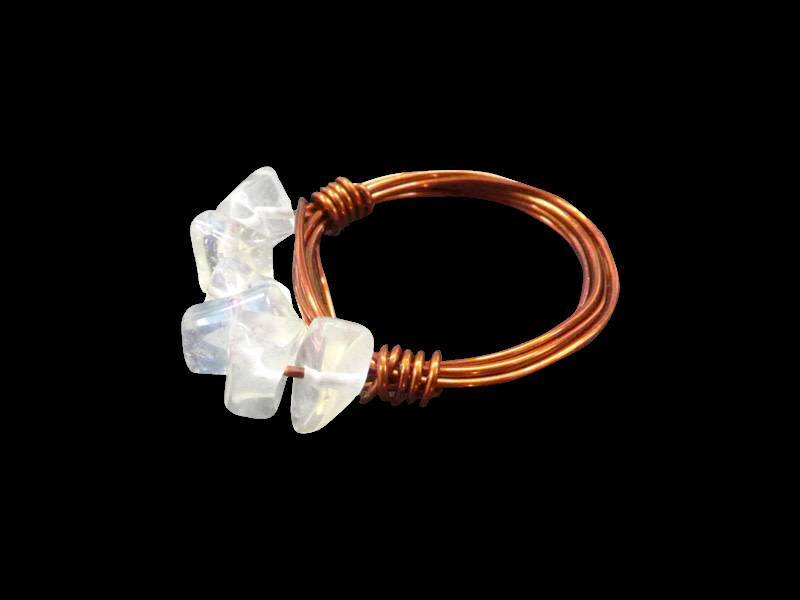 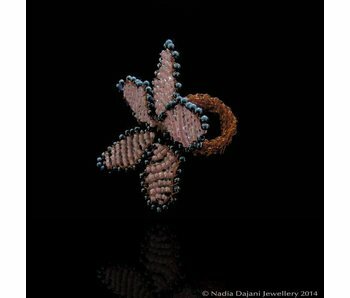 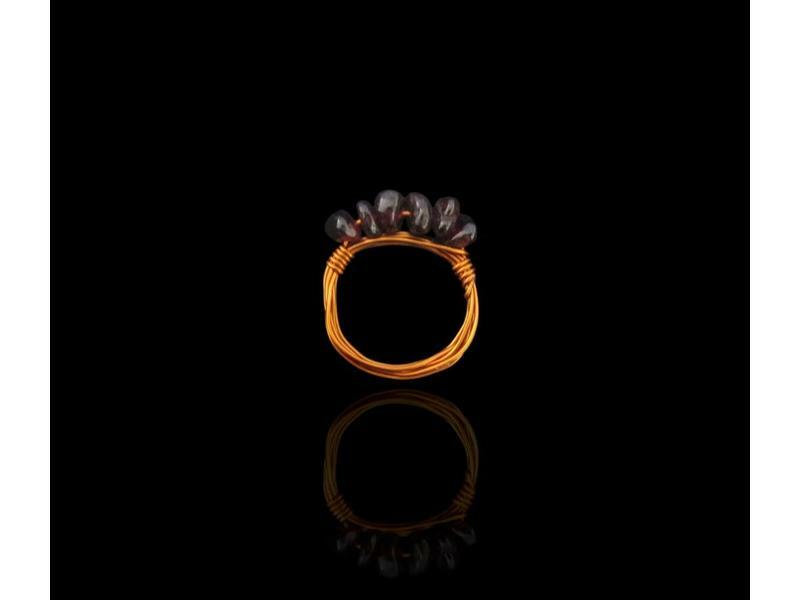 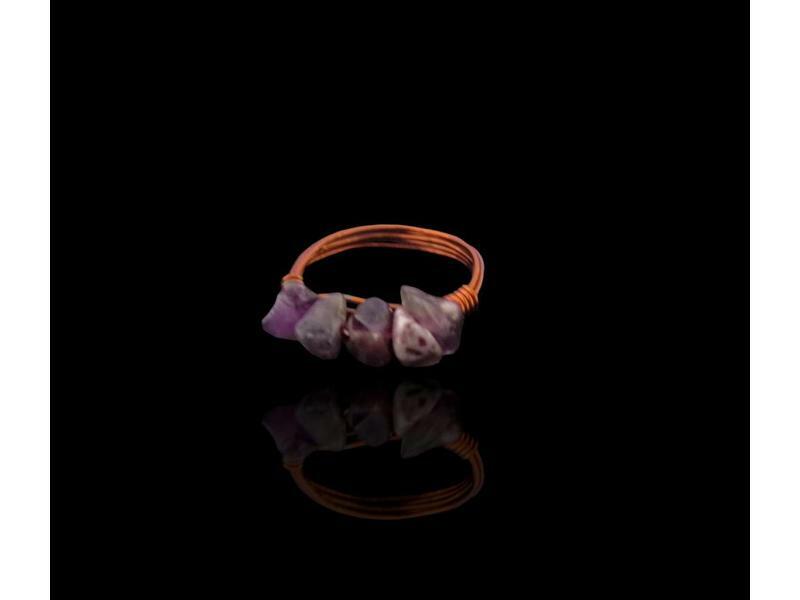 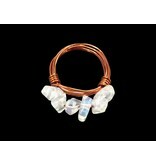 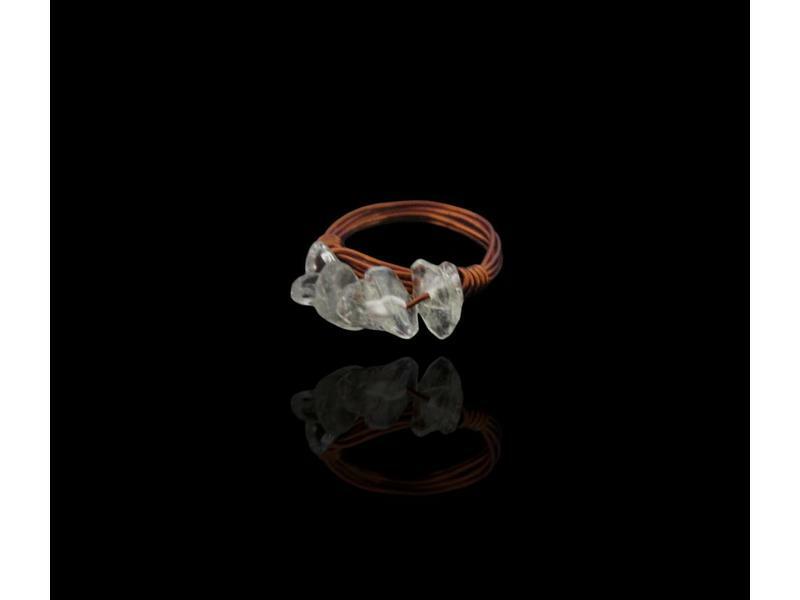 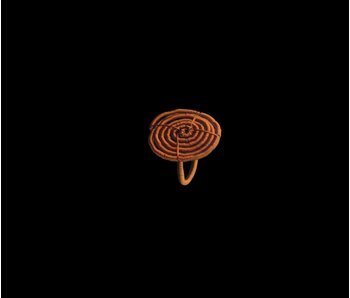 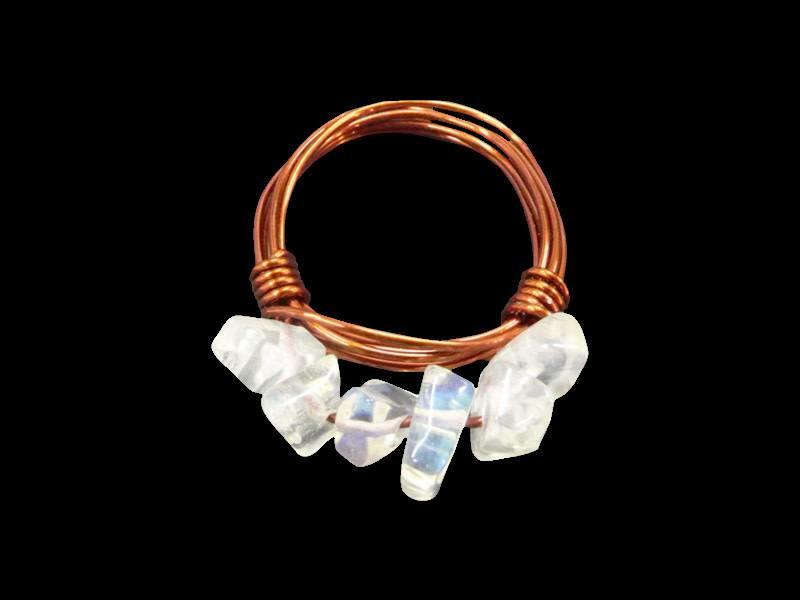 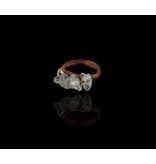 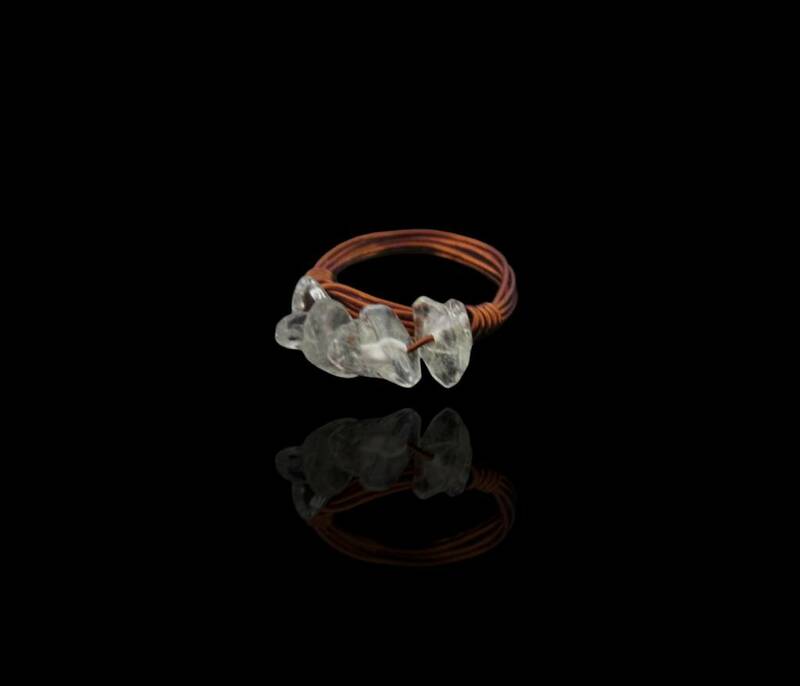 Glass beads make up this Narjis flower ring, made from copper beads and woven copper wire. Available in all your favourite colours! 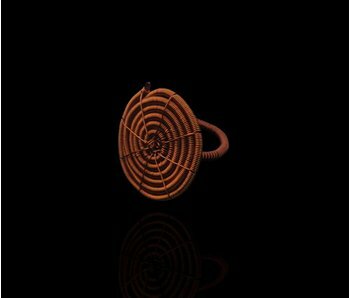 Ring made up of hairline thin copper wire, and composed in swirls.